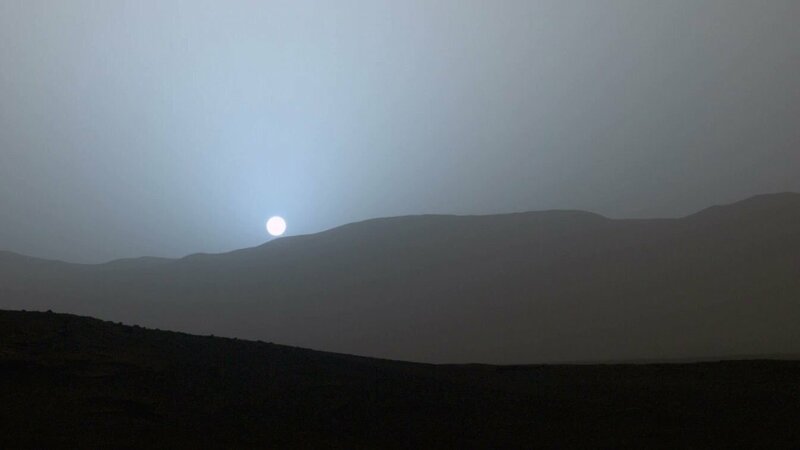 "We are the first human beings to see a Mars sunset. Its quite a thought." "Timelapse of the Russian Progress MS-10 cargo spacecraft launched on 16 November 2018 at 18:14 GMT from Baikonur cosmodrome, Kazakhstan, taken by ESA astronaut Alexander Gerst from the International Space Station. Upcoming feature-length documentary, "LOFT: The Jetman Story" releases the first official teaser unveiling a Jetman Dubai world-first, an extraordinary step towards completely autonomous personal flight. Featuring Jetman pilots Yves Rossy, Vince Reffet and Fred Fugen are seen flying in formation through the fjords of stunning Norway. "That's how it looked like just after the German surrender! Fascinating moving pictures in color show the situation of the city in summer 1945 and daily life in the ruins. "Melbourne-based tattoo artist Tukoi designs tattoos that glow in the dark. She started tattooing at 19 and posts all of her creations on Instagram. To make the tattoos glow, she uses a special UV ink. The healing process is the same as it would be with a normal tattoo. See more from Tukoi: https://www.instagram.com/_____tukoi_____/"
Info from Licensor: "I noticed the river was very full, so I waited for around thirty minutes to see the spectacle unfold. I did not expect it to grow so fast into the raging torrent it became." "A city of singing cats is preyed upon by a shadowy figure intent on performing a twisted feline symphony. Latest short film by The People's Republic of Animation, directed by Eddie White and Ari Gibson. The Cat Piano features the voice of iconic Australian artist Nick Cave narrating a poem written by Eddie White. Nick Cave recorded the narration whilst in Melbourne in 2007 while on tour with his band, The Grinderman." "Introducing Tank, a new short film from Red Giant’s Chief Creative Officer, Stu Maschwitz. In a visual homage to vector arcade games of the 80’s (like Battlezone and Star Wars), Tank tells the story of a team of pilots that must take on a weapon of mass destruction in a battle to save their world. Putting aside current 3D modeling techniques, Stu looked to the past and built the world of Tank entirely in Adobe After Effects, using math, code, and hundreds of hours of painstaking animation work. Watch the Making of Tank to learn more about Stu’s journey in telling this visually unique story: https://youtu.be/WRkYP7wnD40"
"Putting aside current 3D modeling techniques, Red Giant’s Chief Creative Officer Stu Maschwitz looked to the past and built a visual homage to vector arcade games of the 80’s entirely in Adobe After Effects, using math, code, and hundreds of hours of painstaking animation work." Insomnia from Islena Neira on Vimeo. C'est la nuit et un garçon n'arrive pas à dormir. Rallye d'animation à l'EMCA. Cinq jours et deux minutes de court-métrage à faire. Pour attaque cette proposition j'ai improvise le jour précédant le rallye une chanson au piano que j'ai enregistre avec mon téléphone. Cette petite chanson m'est donne l'idée d'une histoire que j'ai improvise plan après plan pendant le rallye.